I know this one has made the rounds for a while now, but it’s too cool to pass up forever. Plus I haven’t done a “video fun” post in a while. Good Bill of Rights news out of a US appellate court today. Via KurzweilAI.net — to put that resolution in perspective, it doubles IMAX’s resolution. YouTube has announced that its player now supports 4k, a standard resolution for films that measures 4096×3072 pixels (requiring special equipment to view). As YouTube Engineer Ramesh Sarukkai explained in the announcement on YouTube’s official blog, “4K is nearly four times the size of 1080p,” and it dwarfs even Imax, which projects films in the slightly smaller 2k format, with its 2048?1080-pixel resolution. Hit this link for an entire gallery of microfluidic devices. A Flikr group called “Art on a Chip” shows an artistic side to a hot area of technology: microfluidics devices. In the group a vibrant collection of images shows cells, channels and fluids on the micro scale. Researchers are encouraged to upload a favorite picture captured through their research, says the curator of the online collection, Albert Folch, an associate professor in BioMEMs and Microfluidics at the University of Washington. The Singularity is Near: A True Story About the Future received the Best Special Effects award and Second Place Audience Award at the 30th Annual Breckenridge Film Festival in Breckenridge, Colorado on June 13, according to Adele Sommer, festival programming director. The feature-length documentary film, by filmmakers Anthony Waller, Ray Kurzweil, Ehren Koepf and Toshi Hoo, with Executive Producer Martine Rothblatt (Terasem Motion InfoCulture), explores the provocative arguments from Kurzweil’s New York Times bestselling book, The Singularity is Near. He predicts that with the ever-accelerating rate of technological change, humanity is fast approaching an era in which our intelligence will become trillions of times more powerful and increasingly merged with computers. This will be the dawning of a new civilization, enabling us to transcend our biological limitations. 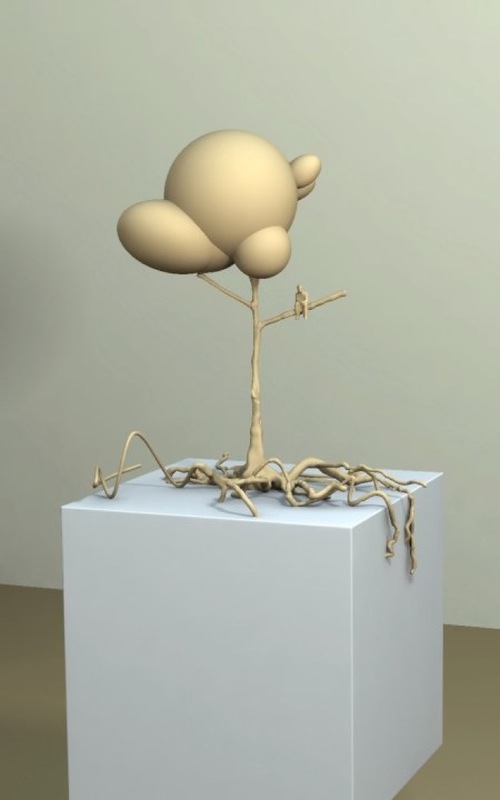 In Kurzweil’s post-biological world, boundaries blur between humanand machine, real and virtual. Human aging and illness are reversed, world hunger and poverty are solved, and we cure death. He maintains an optimistic view of thefuture while acknowledging profound new dangers. 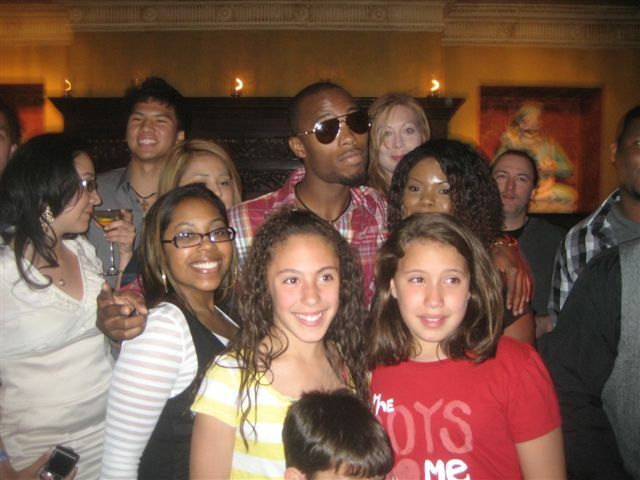 The New York premiere screening of the film is scheduled for June 24, 2010 at the Time & Life building in New York City, presented by the World Technology Network (WTN) in association with TIME magazine. When YouTube began, it was likened by some as a scattered web version of a funniest home videos television show. But in a sign the art world is taking YouTube and amateur video seriously, the prestigious Guggenheim museums and YouTube launched a competition on Monday to search for the most creative online videos and expand on ideas of what video can be. 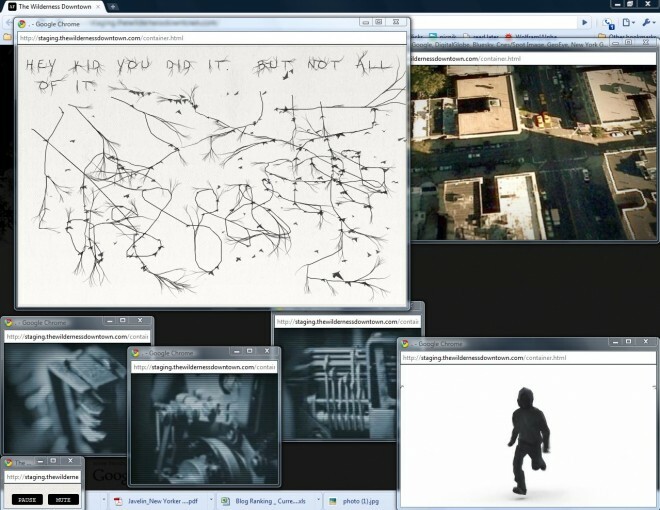 The project, called “YouTube Play. A Biennial of Creative Video”, will showcase 20 videos selected from the web community to be presented at the Guggenheim in New York on October 21 and simultaneously projected at museum centers in Berlin, Bilbao, and Venice. I watched Godfrey Reggio’s “Koyaanisqatsi” last night for the first time in years, and for the first time in the home theater. If you’re not familiar with the film, hit the link in the first sentence for the Wikipedia page. One thing that can be said about this work of art is there are only three reactions: you love it, you hate it, it absolutely confounds you. There really isn’t any squishy middle ground there. Watching “Koyaanisqatsi” again reminded of the subtle narrative that exists in the film, along with the occasional bits of comedy. Quite a feat for a movie consisting solely of images and music. Of course those images are beautiful and moving, and the score is by Philip Glass. It’s truly a film that has to be seen rather than written about. 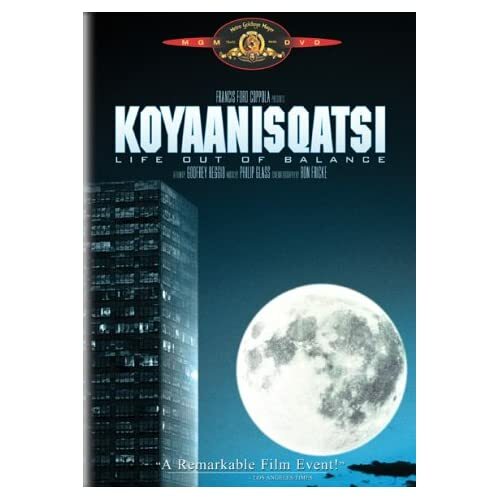 I picked up my DVD back in 2002 when “Koyaanisqatsi” went back into print, you can find the DVD at Amazon here . 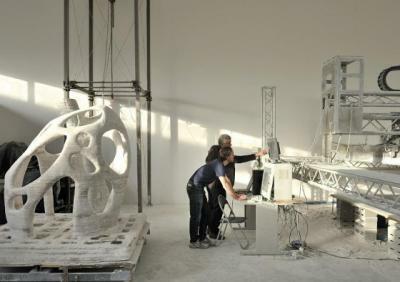 Via KurzweilAI.net — I do a lot of blogging about 3D printing and other rapid technologies (rapid prototyping, additive manufacturing, 3D modeling and visualization, et.al.) 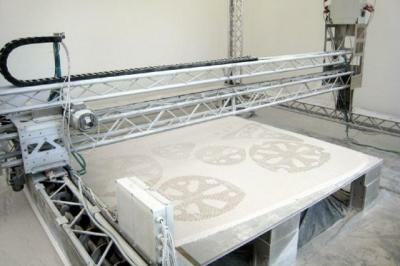 and this is one cool use for 3D printing. Maybe the most cutting-edge facet of Iron Man 2’s production was the real-life fabrication of the suits: using 3-D printers, the film’s production company, Legacy Effects, was able to have artists draw an art concept, input into a CAD program, and then physically make that concept in just four hours. I happened to catch this when it aired on April 5 and immediately DVRed it for posterity. This is one late-night clip everyone should see at least once. Undoing 16th century vandalism in the name of religion. Painted-over murals were thought to be irretrievably lost because conventional methods are seldom suitable to rendering the hidden works visible without causing damage. Research scientists now aim to reveal the secrets of these paintings non-destructively using terahertz beams. Many church paintings are hidden from sight because they were painted over centuries ago. In the 16th century, for instance, Reformation iconoclasts sought to obscure the religious murals, while in later times the iconoclast images often were painted over once again. Several layers of paintings from various epochs can now be found superimposed on top of each other. If mechanical methods are used to uncover these pictures there is always a risk that the original work will be damaged. What’s more, the more recent layers and pictures on top of the original, which are also worthy of preservation, would be destroyed. Research scientists at the Fraunhofer Institute for Material and Beam Technology IWS in Dresden are now working on a non-destructive method for rendering these works visible, which involves the use of terahertz (THz) radiation. In the TERAART project funded by the German federal ministry of education and research (BMBF) they are cooperating with Dresden University of Technology, the FIDA Institute for Historic Preservation in Potsdam and the Dresden Academy of Fine Arts. »We use THz radiation because it can penetrate the plaster and lime wash even if the layer is relatively thick. Unlike UV radiation for example, THz radiation does not damage the work of art. Infrared beams cannot be considered because they do not penetrate deep enough. Microwaves offer no alternative either, because they do not achieve the necessary width and depth resolution,« explains Dr. Michael Panzner, scientist at the IWS. A mobile system that can be used anywhere was developed to conduct the examinations. It consists of a scanner with two measuring heads which travels contactlessly over the wall. One measuring head transmits the radiation, the other picks up the reflected beams. The researchers were supported by the Fraunhofer Institute for Physical Measurement Techniques IPM, which built the adapted THz component. On a test wall, on which paintings in various types of paint were painted over with distemper, the scientists have already succeeded in revealing the structures of the concealed pictures. The next step will be to conduct a practical test in a church. The experts are also confident of being able to use THz radiation to detect the presence of carcinogenic biocides on and in works of art made of wood or textiles. »Preservationists will be very interested in our reveal-all-scanner for works of art, « affirms Panzner. 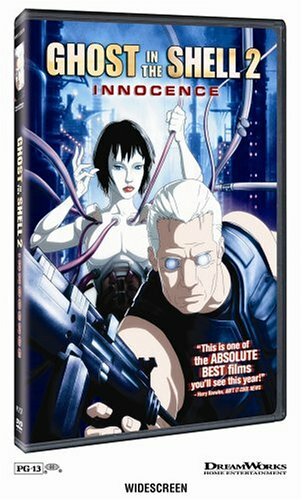 So, if you are easily offended (or a minor) avoid the Drawn Together movie, but if you are a fan of the now-cancelled series, or just like the bleeding edge of edgy humor this DVD is worth picking up.